The Quest for Glory continues as Quincy Harker travels to Charleston looking for a missing Archangel and becomes embroiled in local magical turf wars and potentially murderous politics. Things really heat up when an evil wizard tries to burn the city to the ground, with Harker at ground zero in the conflagration! 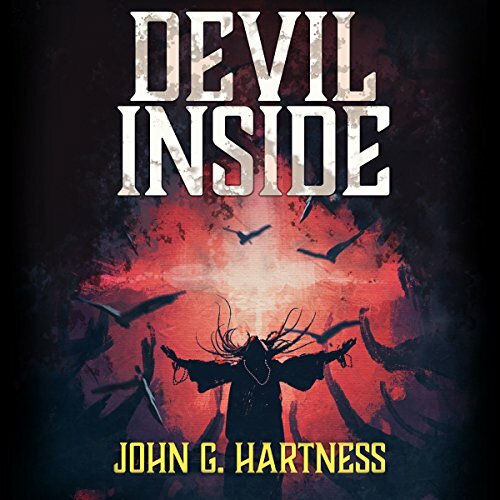 Devil Inside is the second installment in the Quest for Glory serial featuring Quincy Harker and the Shadow Council. The Quest for Glory will traverse eight novellas in total over 2017. The Manly Wade Wellman Award-winning Quincy Harker novellas are short novellas, similar to James Patterson Bookshots in length. These urban fantasy novellas are perfect for commuters, business travelers, and people with only short bursts of time.